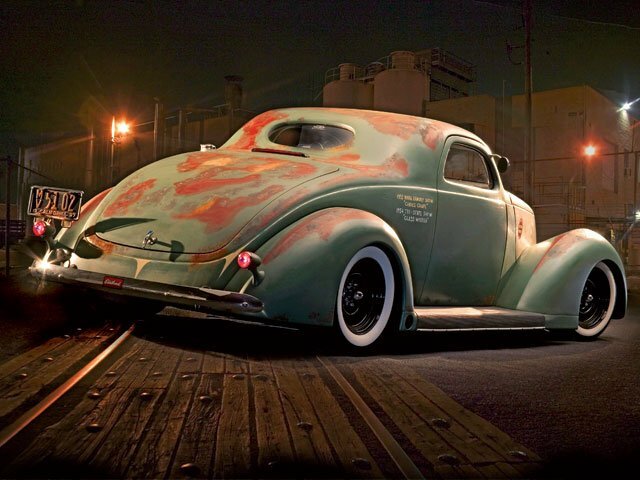 Rat Rod Universe is The Original Online Kustom Kar Show! We specialize in Rat Rods, Kustoms and Old School Hot Rods. 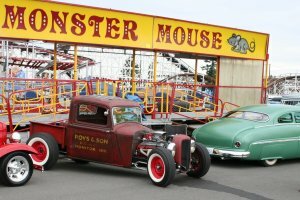 Rat Rod Universe is a place for the entire Rat Rod community to show their cars and share their spirit of ingenuity, independence and creativity. 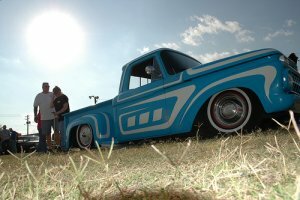 Rat Rod Universe is a gathering place for those who color outside the lines. We do not specialize in shiny chrome or billet. We strive to capture the true spirit of the American hot Rod culture. Born in the 1940s and 50s, custom car builders and hot rodders alike, wanted to go fast and look good. They didn't have catalogs to order from and huge shops to work in. They used what they had. 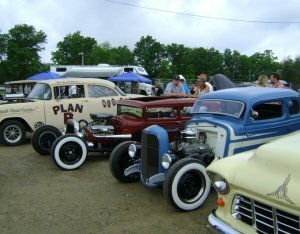 Starting with model A and model T Ford's, they chopped them up, dropped them down and headed off to the dragstrip. A V-8 motor was the core of the era. Regardless of the place, the time or the manufacturer, Hot rodding took the automotive world by storm. Rat Rod Universe exists to showcase the spirit of creativity and ingenuity, where people can enjoy endless creations of cars through the ages that represent our history and have become symbolic of our free American spirit. Whether your car has been sitting in a field, stored in a barn, covered with rust or black primer. We want to see it, and we want you to share it with the world. This is not about perfection it's about your vision, creativity and the true Spirit of our hot rotting forefathers! Four years ago I met Norm Grabowski. In my opinion he is the godfather of hot rodding. The guy who built the original Kooky T and appeared on the cover of the April 29, 1957 issue of life magazine. Norm Grabowski and thousands of other custom hot rod builders to follow, would make their unique mark on the landscape of the automotive industry. Cars we see on the road today more often than not, bear reflections of the style and attitude that these guys brought to the landscape. Hats off to you Norm. . . Enjoy!